Saturday Night was a blast, although at nearly 70 degrees it was far from an arctic blast, at The Smith Memorial Playhouse. 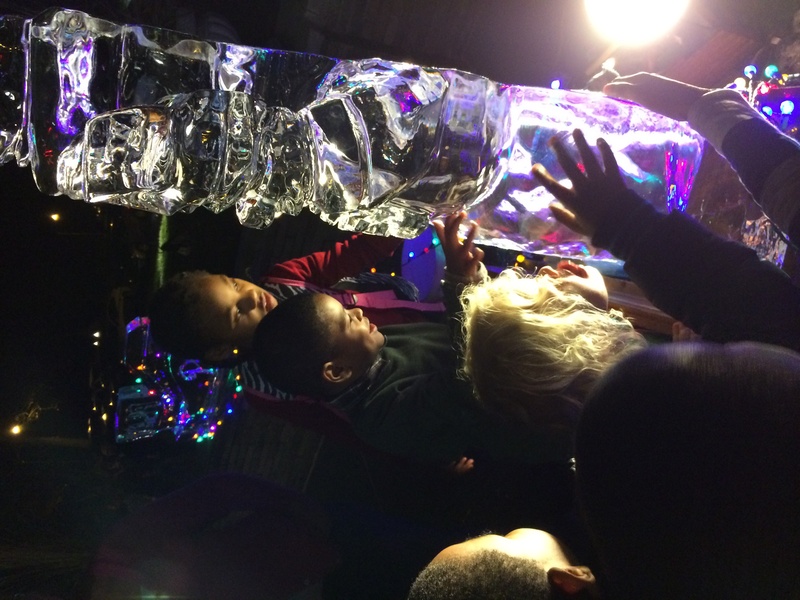 I carved two ice blocks while visitors drank hot cocoa, roasted s'mores and made about 500 gingerbread houses! 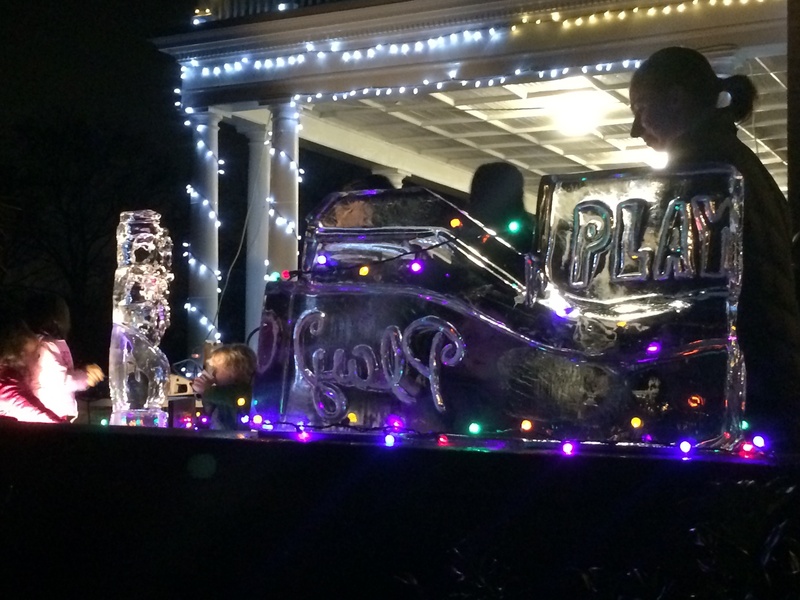 Frosty the melting Snowman and a mini ice version of the Giant Wooden Slide were a hit! 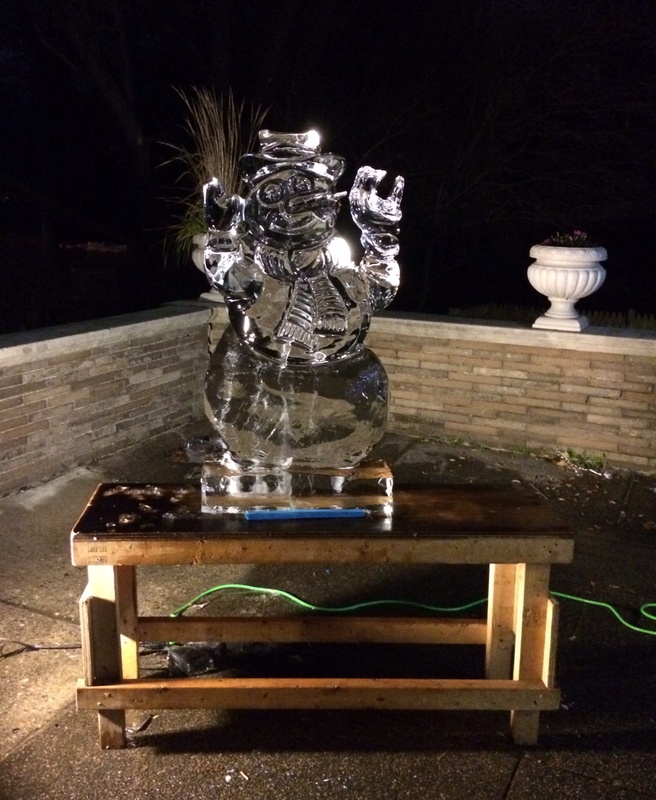 This entry was posted in Ice Carving and tagged Artist, frosty, ice, ice sculpture, Philadelphia, Smith Playground, Smith playhouse, studio ice. Bookmark the permalink.